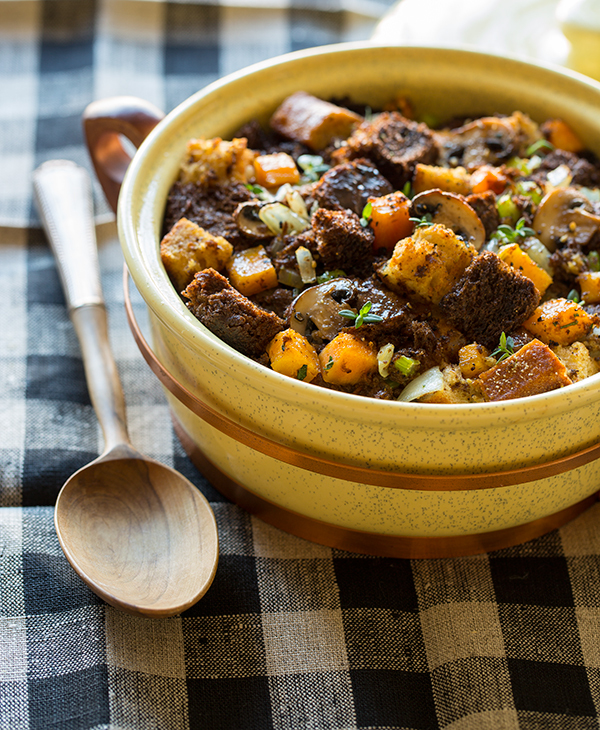 Persimmon & Squaw Bread Stuffing. 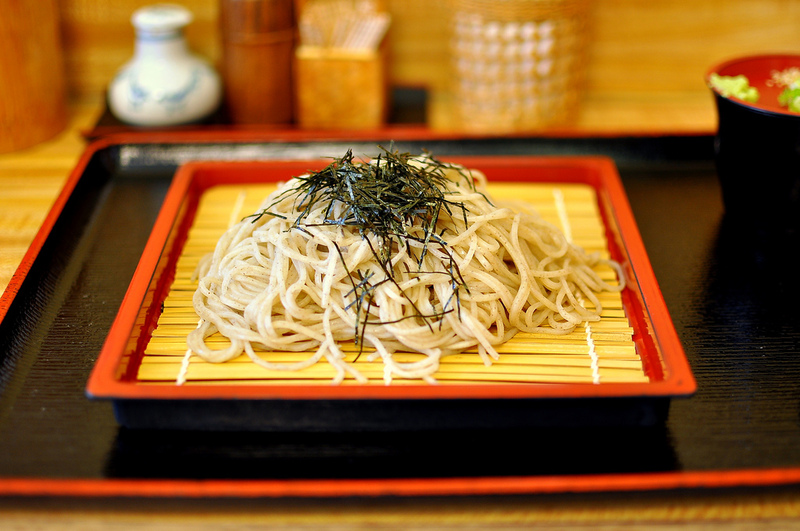 Zaru Soba can be served cold with dipping sauce. It’s boiled and chilled soba (buckwheat noodles) served on a bamboo basket (zaru). It’s served with noodle dipping sauce (mentsuyu) and some toppings. Packages of dried soba noodles are often availabe in Asian grocery stores. wasabi paste, finely chopped green onion, and so on. Put mirin in a sauce pan and heat. Add soy sauce and dashi soup stock in the pan and bring to a boil. Stop the heat. Cool the sauce. Boil lots of water in a large pot. Add dried soba noodles in the boiling water, gently stirring noodles with chopsticks. Turn down the heat to medium. Boil soba noodles, following the package instructions. It usually takes a couple minutes to boil soba. If it’s necessary, add a little bit of cold water in the pot to prevent overflowing. Drain and cool the noodles in cold water. Gently wash noodles with hands and drain well. Divide soba among four serving plates or zaru. Divide dipping sauce among four small cups. Put toppings on small plates and serve them on the side of soba. Hi Guys! We’re so excited to have teamed up with Lilly Pulitzer to recreate some of her amazing recipes. Not only are we recreating them, but we’re adding our own modern twists! First up we have Lilly’s Cranberry-Orange Ginger Ale….yum, right?! 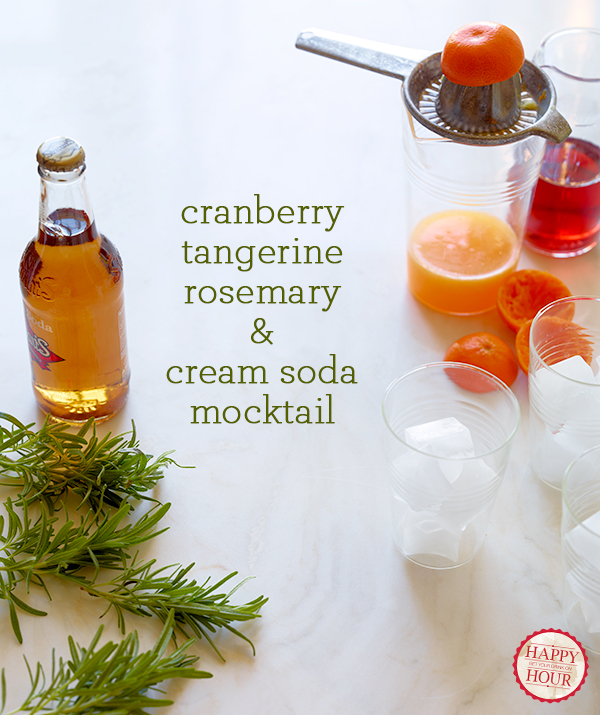 We’ve taken this classic cranberry-orange combo and pumped it up by replacing the orange juice with freshly squeezed tangerine juice. We’ve also swapped the ginger ale with cream soda….who doesn’t love a nice, thick cream soda? 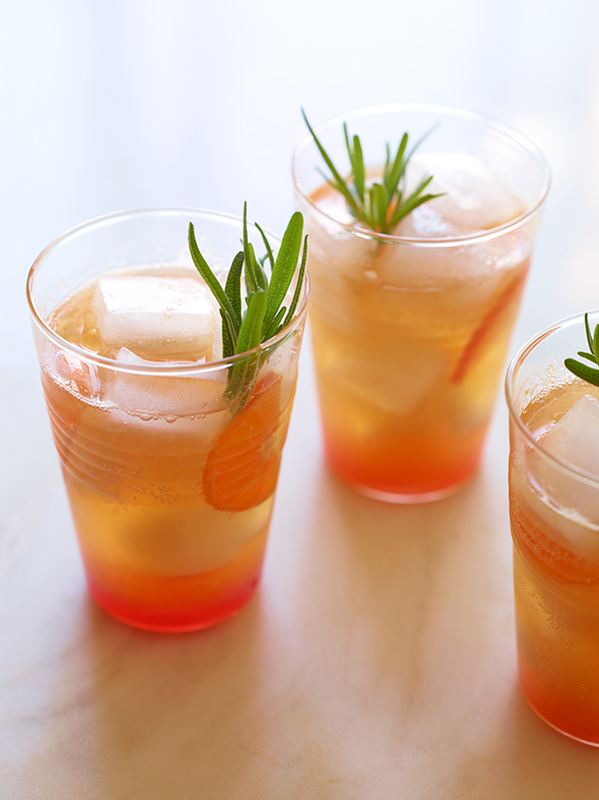 Finally, we incorporated a very subtle rosemary simple syrup, which helps to cut a bit of the richness in this creamsicle mocktail, it helps the drink maintain the perfect balance of refreshing and sweet. If you please, you can also add a bit of gin into the mix for an extra kick. Enjoy! How to feed your vegetarian and Gluten-free friends ? Okay, we’re not going to win any awards for thinking up this combination. But hey, these potato bites are easy, delicious, and perfect for a Final Four-loving crowd, should you find yourself surrounded by one this weekend. They even remind us of sports bar food…like little deconstructed potato skins. Wash and dry the potatoes. Chop them into 1-inch pieces, keeping the chunks roughly the same size even if they aren’t the exact same shape. Put the potatoes in a medium pot, cover with cold water, and bring to a boil. Season the water with 2 teaspoons of salt. Once the water begins to boil, cook the potatoes for 3 to 4 minutes, until you can stick a fork into them without too much resistance. 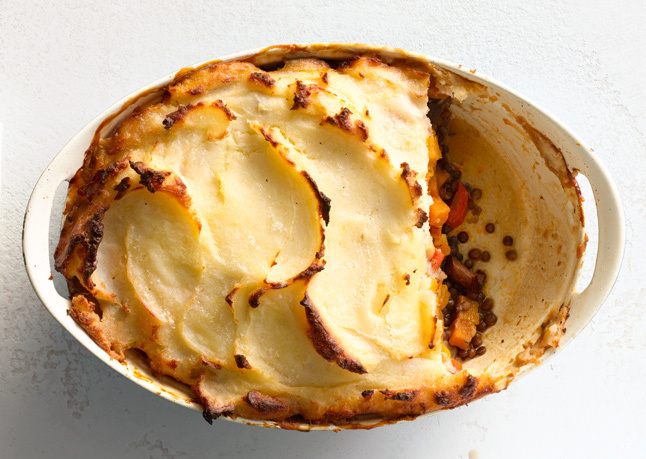 You want the potatoes to be almost, but not fully, cooked through so they won’t fall apart during the next steps. Drain the potatoes and put them in a large bowl. Add the rosemary, olive oil, 1/2 teaspoon salt, and a few grinds of pepper, and toss until the potatoes are evenly coated. Cut the strips of bacon into thirds. 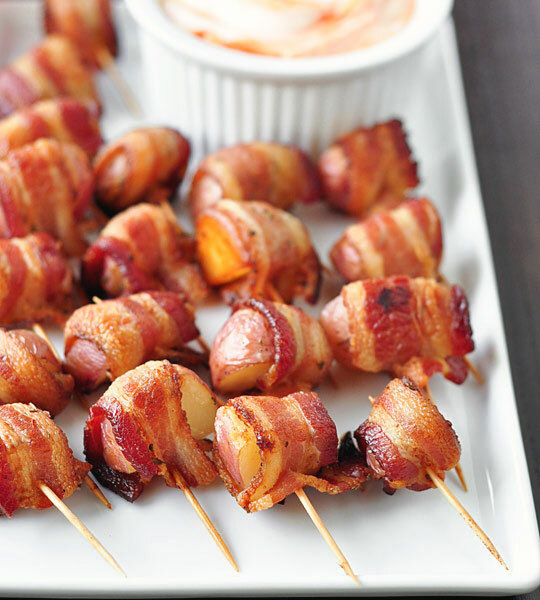 Wrap each potato bite in a piece of bacon, securing it with a toothpick. Put the potatoes on a baking sheet lined with parchment paper or aluminum foil spaced an inch or two apart. You may need to cook the potatoes in two batches. Cook the potatoes for 15 minutes, then flip each piece. 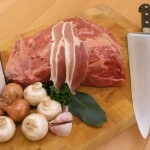 Cook for another 15 to 20 minutes, until the bacon is cooked through and as crisp as you like it. Mix the sour cream and hot sauce in a small bowl. Season with salt and pepper. Pile the potato bites on a plate and serve alongside the dip. Burgundy, thanks to its inhabitants having an all-consuming devotion to colouring matters (plus a skilled publicity campaign conducted by the mediaeval dukes who ruled the province), has come to be regarded as the epicentre of French and astronomy. Strange then, that the dish that has become such a worldwide flag waver for the region should be a rustic peasant a thing. 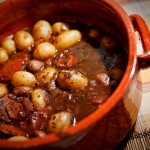 although Burgundian origin, it is now regarded as a quintessentially French dish, found on the bill of fare in restaurants as far apart as Paris and Marseilles, not to mention bistros from Manchester to Sydney. 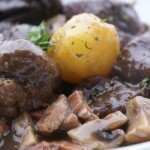 In France itself you often find it written down on menus simply as‘Bourguignonne’ and, what’s more, in French butchers shops you’ll often see a slab of meat marked out for its culinary purpose, i.e.‘bourguignonne’ rather than “topside” or “shoulder”. Simon Hopkinson and Lindsay Bareham have an excellent recipe in their entertaining review of retro cuisine, ‘The Prawn Cocktail Years’. I think it’s out of print but if you do come across a second-hand copy, it’s a joy. Paul Bocuse has a recipe in his maius opus, something you would hardly expect from the arch moderniser. The first English-language edition of the ‘Larousse Gastronomique’segregates ‘Boeuf Bourguignon’ and ‘Boeuf a la Bourguignonne’. The recipe for the former the mushrooms are omitted. This seems to be the sole difference. The “female version” must be the simplest recipe ever presented, if not exactly the cheapest containing the instructions just “lard the meat and marinate in brandy. 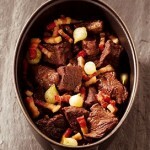 Then braise in red wine.”Committing a bottle of cognac plus a bottle of Burgundy to a humble stew would give both my wife and my bank manager palpitations so I feel I’ll never make this version! Most culinary experts agree that it is de rigueur to incorporate a pig’s trotter or a calf’s foot to yield a nourishing, rib-sticking gravy. At the same time opinions are divided as to whether to marinate the meat or not. Cointreau invents, surprises and tickles your taste buds with a bracing cocktail based on the arcane, yet delicious technology of molecular mixology: an unforgettable experience now accessible to connoisseurs in quest of the unusual. Taking inspiration from the work of Adrià Ferran, the legendary chef and master of molecular gastronomy, the research teams at Cointreau sought to develop solid spheres of Cointreau. After several months of research and thanks to the help of the expert mixologist, Fernando Castellon, the best formula was found. 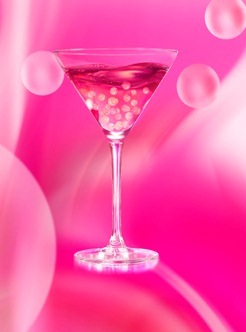 Named “Cointreau Caviar”, the new product was first launched in Paris where it was presented to top bartenders. It then took New York by storm, delighting the best local barmen to continue its journey in London, Europe’s cocktail capital. Cointreau Caviar can already be found on the drinks menus of several of the finest Parisian hotels, as well as at the Pegu Club and the Dylan Prime in New York. It will soon be on offer in a selectoin of trendy and classy bars in London. 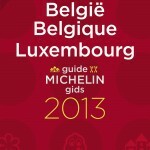 The Michelin Guide has announced 2013′s stars for Belgium and Luxembourg. While the three-star restaurants in Belgium have remained the same (De Karmeliet in Bruges,Hertog Jan in Bruges and Hof van Cleve in Kruishoutem), La Duree in Izegem has gotten its second star for the first time. Additionally,L’Air du Temps retained its second star despite moving to the town of Liernu. Belgium now has 16 two star restaurants. 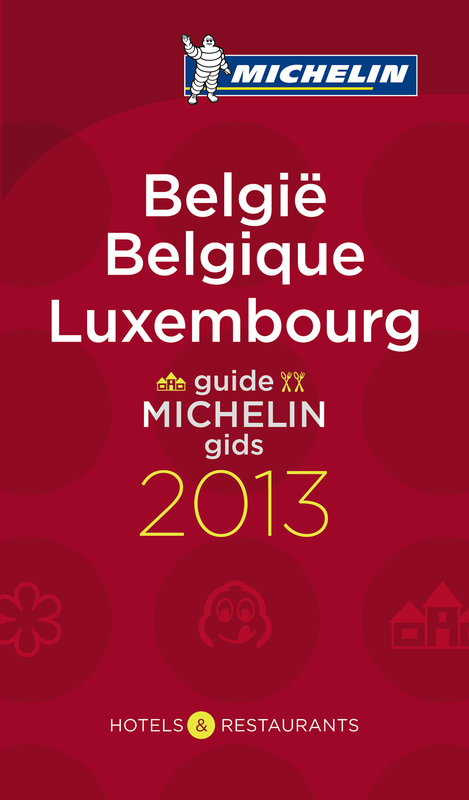 Michelin also added ten Belgian one-stars to the 2013 guide. Luxembourg did not receive any new stars, with the two-star Mosconi in Luxembourg City and ten one-star restaurants holding on to their ratings. Chef Erick Harcey + Victory 44 from Bolster on Vimeo. 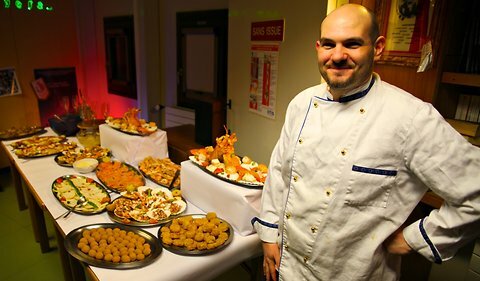 Alexander KumarChef Giorgio Deidda in front of one of his many creations. The AROMAFORK™ Will Make Your Food Taste Better. Seriously.